Budget Blinds of the High Country offers high quality and stylish window coverings for every room in your home or business. We carry a vast selection of window treatments including shutters, shades, blinds, window film, eco-friendly and child safety options. 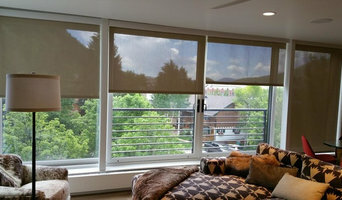 Blinds Aspen Arka Abode is the number one source for blinds, shades, shutters, and other window treatments in the Aspen area. 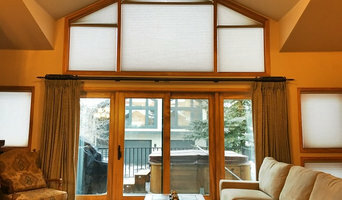 Founded in 1981, your Aspen Shutter Company offers affordable shop-at-home services, which means we come to you to help you find the perfect treatments for the windows in your home. We know how important your home is to you and your family, and our professionals will work with you to help make sure that your new window treatments are perfectly complementary to your home’s architecture and interior design. We have several design options and types of window treatments available, and we’ll help you navigate our selection and choose the perfect window coverings for your home. West + Cobb work is to create a collected and thoughtful environment by mixing old, new, fine and found objects to create a space which will reflect a curated representation of the client while enhancing life style with function and form prevailing. Applying their training in the arts, unique designs and discreet vignettes are created that mesh the art and interior world in an affordable way. Serving the Vail and Roaring Fork Valley’s since 1995, SK Shading Systems is a leading expert in window treatment design and installation. With nearly 40 years experience, we come from a manufacturing and fabrication background. This enables us to work successfully with the entire design team of architects, builders, designers and luxury home owners. Today we focus on renewable, handcrafted, natural fabrics to add a crisp and calming ambience to your home or business. By combining this with Home Automation and Lighting Control Systems we can be sustainable and forward thinking. Let us bring nature and artistic design to your mountain interior and exterior environments! Since 2014, Zach Garrison (Owner). It is his mission to create long-term relationships with his clients by providing the highest quality window treatments, cleaning and repair services with exceptional knowledge and unmatched service. Install window treatments as well as art. We offer free in-home consultations where our certified window fashion professionals can help you with the design and functionality of your window treatments. We cater to every budget, from simple to extraordinary! Whether you are looking for simple window treatments for privacy or light control, ease of use, child and pet safety, or elaborate custom designs to create your ultimate dream space, Gotcha Covered has the solution for every window. Our services include professional measuring, experienced installation, and stylish design advice. We are local, independently owned and operated, and we have proudly served our area since 2001. Window shades, blinds, shutters, draperies, custom bedding, decorative pillows, table linens and more! 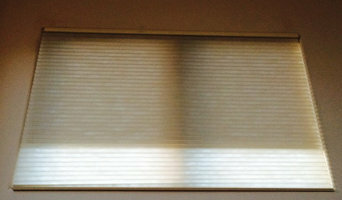 VALLEY DECOR'S Owner- Designer Laurie Solomon is a WFCP master and a Hunter Douglas Certified Motorization Specialist. We bring the store to you in our fully loaded sample van & we look forward to working with you ! Advantage Blinds is a company based in the Roaring Fork Valley and not a franchise of a big blinds retailer. Fact is, we've probably installed you neighbor's blinds. We know the special needs of houses in the Roaring Fork Valley. The sample books we bring you are full of the colors and technologies that work best for the homes in our area. We offer a full range of custom blinds, drapes, motorized shades and awnings to make your home look its best - and to protect it from the sun and to provide privacy. We owned one leading franchises and we've been in your community for years. We decided to ditch the franchise -- the amazing word of mouth referrals we get from our valued customers are more important than the cost of paying for a national franchise brand. And most importantly, we now pass the savings on to you.